Today we are looking at a few new releases from the first half of 2012 that are worth checking out. 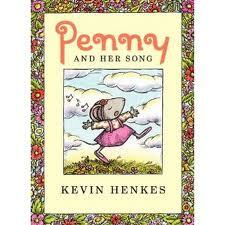 Penny and Her Song is by the wildly popular Kevin Henkes. This is a beginning reader chapter book (2 chapters) that follows Penny as she tries to capture an audience to listen to her new song. In the clip below, Henkes introduces us to the character, Penny. 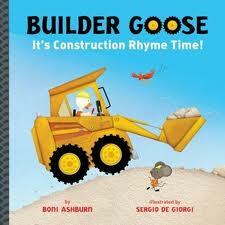 Builder Goose: It’s Construction Rhyme Time! by Boni Ashburn and Sergio DeGiorgi plays off classic nursery rhymes with a construction twist. The illustrations are bold and lively. This is a fun read for young readers. 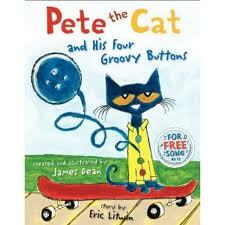 Pete the Cat & His Four Groovy Buttons by James Dean and Eric Litwin is next in a series of Pete the Cat picture books. In this tale, Pete sings a groovy song about his buttons. However, his buttons keep popping off. No need to worry. Pete discovers he will always have a bellybutton that he can sing about. Children even learn a little basic subtraction in this tale. Get a little taste of the book in the clip below. 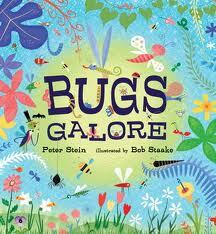 Bugs Galore by Peter Stein and Bob Staake is a perfect book for your little bug lover. Lots of descriptive adjectives to describe all those bugs also helps build vocabulary. Enjoy checking out one of these 2012 new releases. What other 2012 releases have you found to be noteworthy? *Please check out the linky party directory to see where this post has been linked to for the week. I just discovered Pete the Cat this year at our Scholastic book fair. I fell in love with these “groovy” books and songs.